Friends, we all need them and we cannot live without them. So adding a potential match as a friend might be a good idea to break the ice. 2. 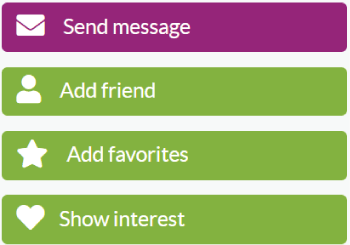 To invite a member to your friend's list, simply click on the 'Add friend' button. 3. When you added a member to your friend's list, the color of the button change to blue with the text 'Request pending'. And once the member confirms your friend invite, it will show up in your friend's list. All your potentional matches that you added as friends can be found on the Friends page. 2. Look for the member you want to remove, and click on the 'remove' button.